Liberty Ammunition’s 9mm Ammo Lead Free ammo is a high-performance ammunition with twice the effective range of standard ammo. 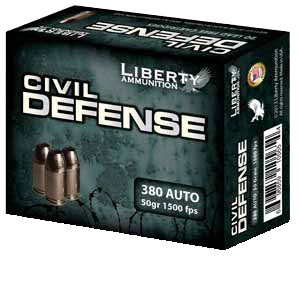 This lead free ammo provides up to 16% less felt recoil and considerably less weight in loaded magazines. 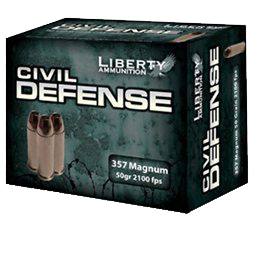 Liberty reduced the projectile weights to less than half of a traditional lead core and copper jacketed hollow point bullet. 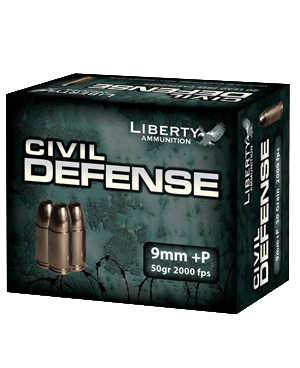 Civil Defense 9mm Ammo Lead Free personal defense round has received the highest score from the National Tactical Officers Association Members Tested and Recommended Program. 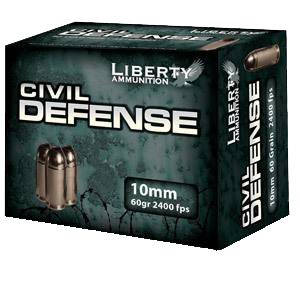 With a 50-grain weight and a velocity of 2,000 FPS (kinetic energy at >450 FPE), Liberty Ammo Civil Defense 9mm rounds have an accuracy rate of under 2-inches at 50 meters. 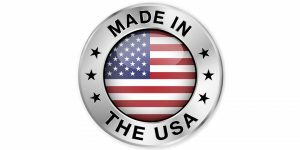 Lead-free bullets and ammunition are the future and Liberty Ammunition is in the forefront of that movement. Shooting a temperature stable Clear Ballistics gelatin, the 9mm rounds consistently penetrates beyond 12”, and never exits the 16” blocks. This includes shooting through t-shirts, towels and other clothing material that participants wanted to shoot. However, it will penetrate car doors and windshields. The round penetrates to the FBI minimum without over-penetrating. Additionally, the light round will punch through sheet metal and laminated glass – two of the toughest barriers – without any problem. I’ve carried my Beretta 8000 on duty and CCW for over 20 years and I’ve never felt it was enough gun using 147 grain subsonic loads…but that was my duty load so I stuck with it. Knowing I have 3 mags of .357 level stopping power in a 9mm makes me really happy…awesome product…Thx! I was turned on to these rounds by a friend. He have me a box of 20. In my Glock 26 Gen 4, these produced a very loud shot with noticeably less recoil. I would like to run a few more rounds, but I was convinced enough to use these in my 26 as a daily carry. GREAT AMMO! I tested the 9mm ammunition in a Sprinfield XDM Compact. The results were impressive. The test objects were 1 gallon plastic jugs filled with jello and wrapped with shirts, layers of newspaper, and a double layer about 1/8″ leather thing. The projectiles punctured through the material with ease and all though the wrap material. The jugs even burst and were done after one shot each. It took several FMJs to make the jugs a similar state, just for a comparison. The event was recorded and uploaded with the links placed on our Facebook page Emergency Management Preparedness Response Recovery, LLC. 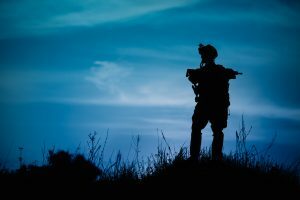 I was turned on to these by a fellow armed guard and former Maricopa County Sheriff. Depending on gig I’m working I either carry my Glock 19 or Glock 23. In my G19 alone, the weight difference from these rounds compared to the 124gr Speer gold dot is like day and night. Having a lighter belt/gun but still packing the punch of heavier rounds keeps my mind at ease while keeping my gear light. The less felt recoil and lighter gun weight makes my follow up shots clean and accurate. In my company alone there are now four different armed guards carrying this ammo with huge success at the range. Thank you. These rounds are amazing!! So light and fast,and penetration is unbelievable. When they say One and Done,you better believe it. I carry these rounds in my XDM 40 concealed, and on duty,knowing full well these rounds will stop any threat projected. Best on the market for sure.Thank You Liberty.